The XRX (Xerox Corp) Short Trade briefly popped above the suggested stop of 28.36 today, resultingin a 2.7% loss on the trade. 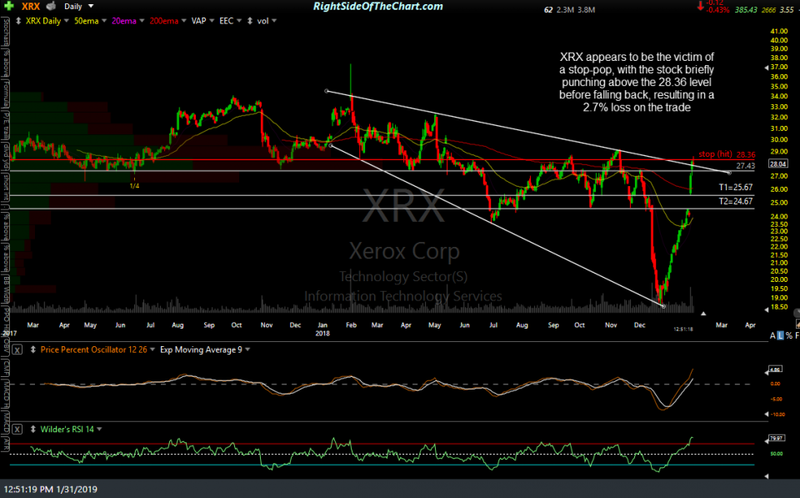 As XRX may likely be added back as another short trade very soon, I am going to post this update along with the update on the KRE swing trade below, in order to keep this update, along with the price targets & levels on the chart of Xerox, as restricted content for now. 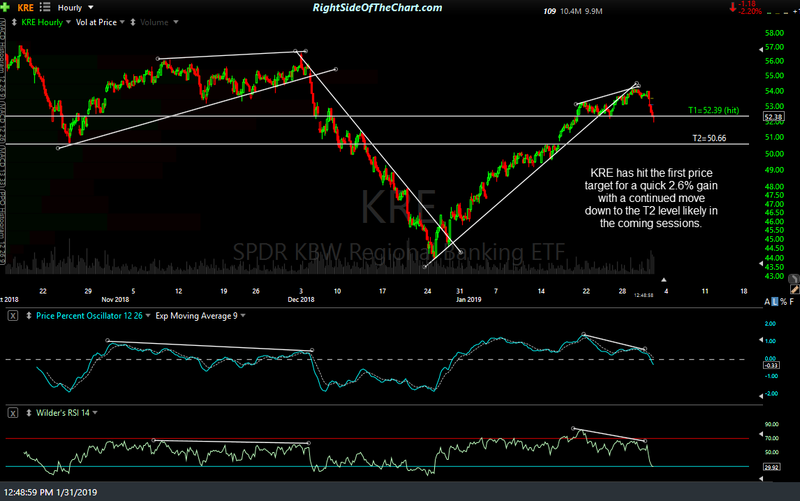 The KRE (Regional Bank Sector ETF), which was also just added as a new short swing trade along with XRX yesterday, has hit the first target for a 2.6% gain. T2 remains the final target on KRE for now although additional price targets may be added, depending on how the charts develop going forward. Randy great please keep us posted on the XRX Trade been eyeing this all morning!.Thanks. Will do. Seems like a stop-raid or simply a momentum-fueled overshoot of that trendline & price resistance on XRX. Let’s see what tomorrow & early next week brings.